The Patio Company is based in Essex, Massachusetts. We have been serving all around Massachusetts for over 30 years. Our swimming pool and landscaping is designed to provide high quality outdoor living. Our design and construction service goals are to provide clients with the team they need to realize their dreams and create the best possible water and outdoor living environment possible. Our clients enjoy the ability to work with our designers to ensure that their choices in changing their landscaping at met with the insight of professionals on their side. By working with our network of qualified specialists, The Patio Company will deliver the highest excellence in design and landscaping. If you can imagine it, we can design and install it. 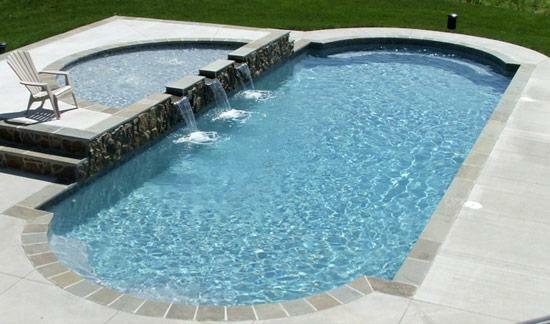 With The Patio Company swimming pool designers, there are no limits to your backyard dreams. Using the latest technology and techniques, we will create your personal tropical getaway. When designing and building your custom inground pool and patio, The Patio Company will keep you involved every step of the way. Our inground gunite swimming pools are the top choices for homeowners and home value because of the versatility, durability and the added beauty.